You would not expect to find an English country church smack in the middle of bustling “boogiedown” Bronx under an elevated train, but here’s one in Fordham, at Jerome Avenue and East 190th Street. 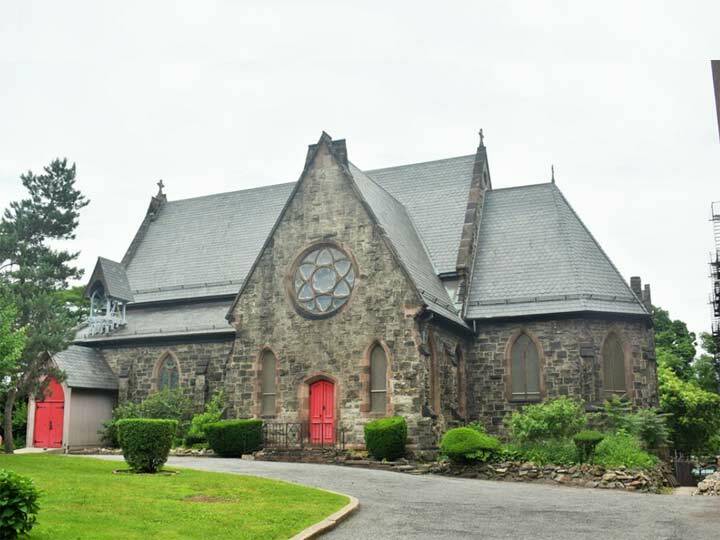 St. James’ Episcopal Church, a picturesque stone building designed in 1863 for a rural parish in what was then a part of Westchester County, is among New York City’s finest Gothic Revival style religious structures. It was designed by English emigre Henry Dudley, a leading architect of the ecclesiological movement in North America, which attempted to design churches in line with church philosophy. The church is now located in a heavily urbanized section of The Bronx, only one block north of commercial Fordham Road. However, with its landscaped grounds situated beside St. James Park, the church is one of the few surviving reminders of the period when this part of New York City was largely farms and country estates. 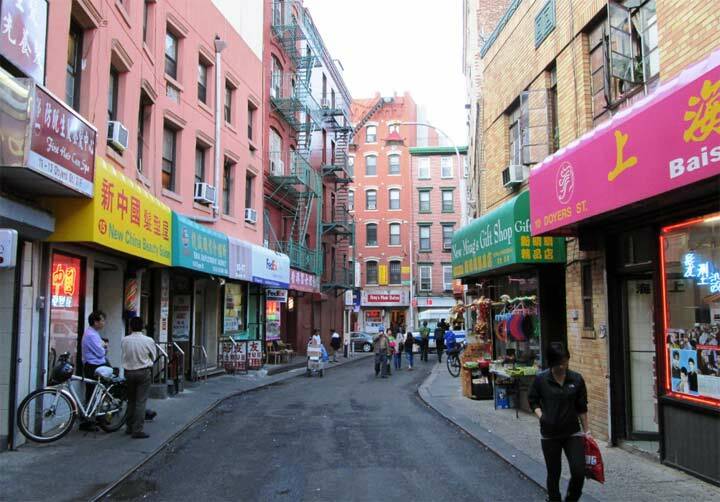 Acre for acre, the Bronx is the city’s greenest borough; Pelham Bay Park is the city’s largest, beating Central Park by a large margin, and Van Cortlandt and Bronx Parks are also vast, and there are plenty of midsize parks, such as Crotona and St. Ann’s. And, there are the neighborhood parks like Poe Park and St. James Park, directly north of the church, between Jerome and Morris Avenues and East 191st and 193rd Streets. Are you measuring per square mile? The previous Fresh Kills land fill on Staten Island is now a park. The green belt, Clove and Silver Lake Parks. There is National PS Gateway Park including the beaches, Miller Field and Great Kills Parks. The designated Blue Belt drainage basins and wet lands. Do these count? Staten Island is about 60 sq. mi. at most. Actually, St James Park is between Jerome and Creston Avenues. I grew up a few blocks away and this park was a large part of my childhood and early adulthood. A large playground, tennis courts, a rocky “hill” to climb, and lots of grass and benches.